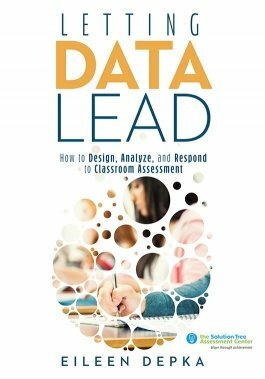 Rely on Letting Data Lead by Eileen Depka to help you build a culture of school data analysis and interpretation, data-driven instruction and assessment techniques, and student achievement. This practical resource clearly outlines a systematic approach for meaningful student data collection through quality classroom assessment methods. The included assessment techniques, tools, templates, and specific examples are designed to empower educators to turn gathered information into immediate, thoughtful action. Obtain templates and analysis methods for collecting, interpreting, and responding to assessment data. Define the purpose of assessments to distinguish between when a response is needed and when a response is not essential. Design assessment of student learning in a way that creates actionable insights and pinpoints where students are struggling. Consider practices that support the systematic approach to responding to student results with data-driven instruction. Build a classroom culture where students react to their personal data, set goals, and engage in critical thinking.